Better late than never, our first pic for this week is another from “Teacher of Outlaws”. It’s the episode of the long-running Western series The Big Valley that was first broadcast on February 2, 1966. Timothy portrays Scripture-spouting outlaw Preacher Clegg, obviously a frustrated man of the cloth. Please revisit this post and view this episode, directed by Michael Ritchie, in its entirety. It’s must-see TV! 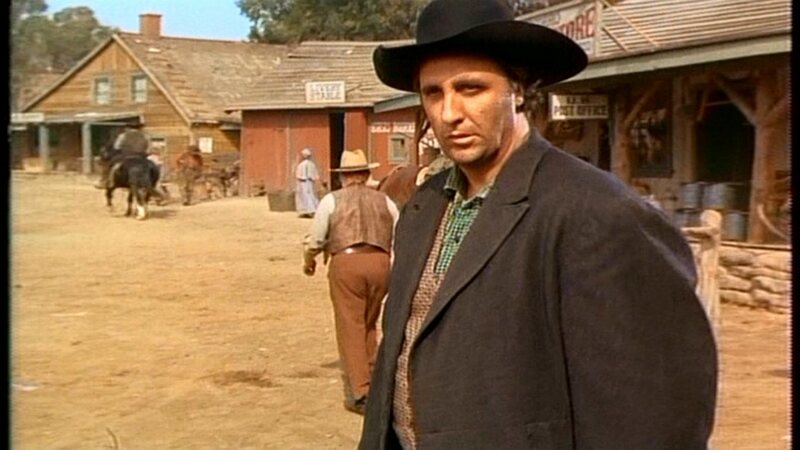 This entry was posted in Television and tagged michael ritchie, teacher of outlaws, the big valley, timothy carey. Bookmark the permalink.